Max Steinberg is far from being a household name in the poker world, but that could very well change when the 24 year-old poker pro takes on Isaac Hagerling later today, seeking his second WSOP bracelet in the past two years. But Steinberg’s poker resume doesn’t begin and end with WSOP bracelets; in just a few short years the Iowa native has racked-up six scores of at least $144k, and with his deep run in Event #33 he now has eight final tables in major tournaments in his short live tournament career. Steinberg’s first brush with poker greatness came in 2008 when as a teenager he finished in 2nd place at the PokerStars LAPT San Jose Main Event, winning an impressive $144,773. From that point on Steinberg went back to online poker until he was old enough to play live events in the US, and in his first WSOP back in 2010 he nearly won a bracelet, once again finishing in 2nd place, this time to Pascal LeFrancois in a $1,500 NLHE event, pocketing a further $352,916. 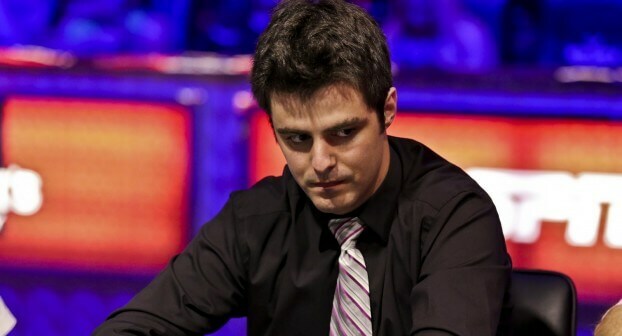 In 2011 Steinberg weaved his way to another final table at a prestigious tournament, the $5k buy-in Wynn Poker Classic Main Event, where he was eliminated in 4th place, adding another $71,974 to his running tally. And at the 2012 WSOP Steinberg proved he was capable of being one of the best in poker, cashing four times and winning his first WSOP bracelet in Event #33, a $1k buy-in NLHE tournament. After the WSOP Steinberg would go on to final table the 2012 WPT Legends of Poker Main Event, once again finishing in 2nd place at a major tournament. So far in 2013 Steinberg has picked-up where he left off in 2012, he’s already made a run at the World Series of Poker Circuit Series (WSOPC) National Championship in May, where he yet again finished in second place. At the 2013 WSOP Steinberg has cashed three times, and is at his second final table of the series, having finished in 7th place in the $3k NLHE Shootout just days ago. Regardless of today’s outcome, Steinberg will pass the $3 million mark in career tournament earnings today, and when added to his online winnings (where he was a feared cash-game player) Steinberg is one of the most accomplished players in the game over the past five years.